Medical devices, namely, retinal implants, and surgical instruments used in their implantation and operation. 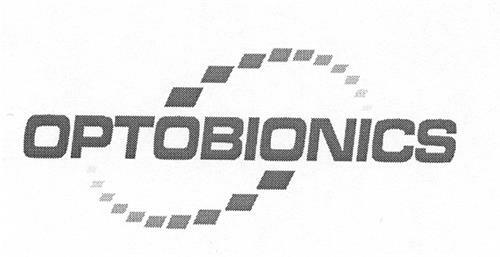 On Friday, July 25, 2003, a canadian trademark registration was filed for the above pictured logo by Optobionics Corporation 850 East Diehl Road, Suite 120, Naperville, Illinois, 60563, UNITED STATES . The Canadian IP office has given the trademark application number of 1184279. The current status of this trademark filing is Interruption of proceeding. The correspondent listed for is BERESKIN & PARR LLP/S.E.N.C.R. of SCOTIA PLAZA, 40 KING STREET WEST, 40th FLOOR, ONTARIO, CANADA M5H3Y2 The trademark is filed in the description of Medical devices, namely, retinal implants, and surgical instruments used in their implantation and operation. .
(1) - Medical devices, namely, retinal implants, and surgical instruments used in their implantation and operation.